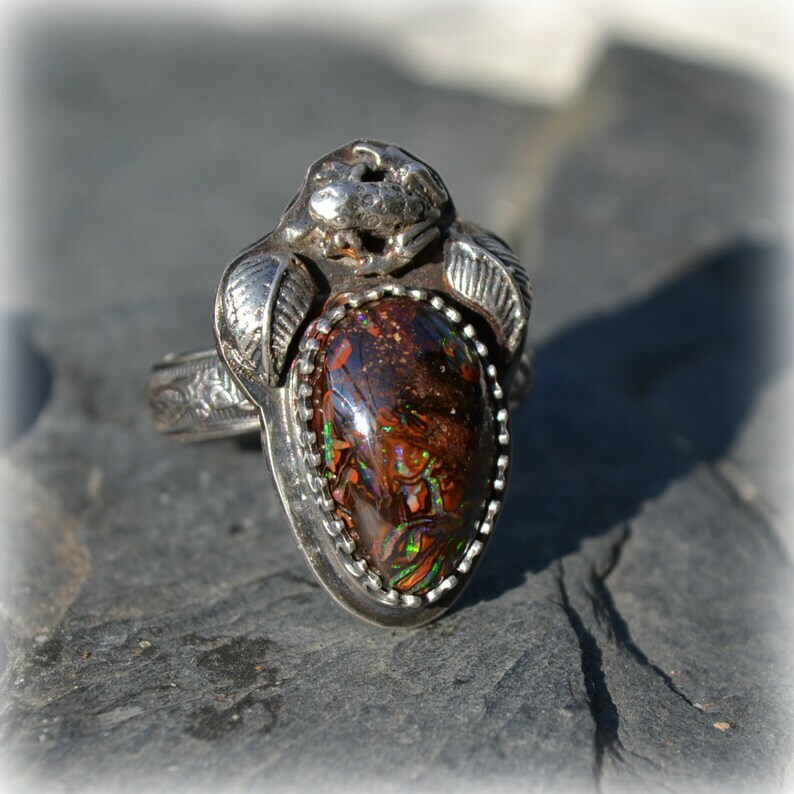 The koroit opal in this ring is from my personal collection of master opal cutter, Keith Cler. His opals are always beautifully cut and highly polished. Opals need light to show them off so these photos were taken in the sun. The stone has pin flashes of green and blue. The ring is a size 6.5 and can probably be stretched to a 7. The opal is set in sterling and fine silvers with a fancy bezel and features a pair of sterling leaves and also a lucky 3 dimensional frog. 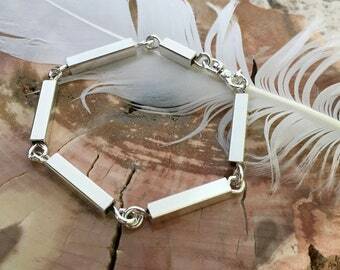 The band has a domed leaf pattern and is almost 5mm wide and smooth on the inside. The back of the ring is stamped Sterling. The ring has been given a patina to highlight the details. The face of the ring is 25mm long and 17mm wide. The stone itself is 16mm long and 11mm wide. (25mm = 1 inch). the ring weight is 8.2 grams which is about 1/3 oz. Men's Ring. Sterling Silver with gold and copper accents. Wire wrapped Sultan's Ring.